Sure, you can download an impersonal game app, but when was the last time you played an actual “hands-on” game with a human being? 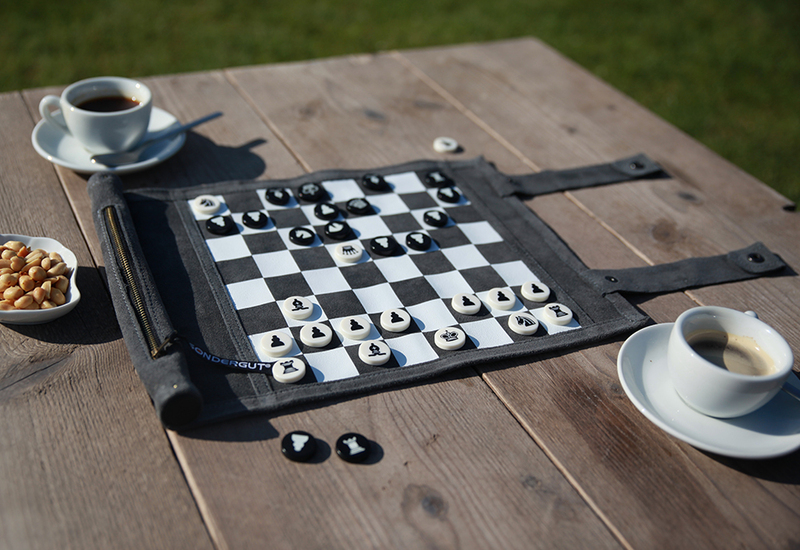 Our Genuine Leather Roll-Up Travel Games are stylish, compact and go just about anywhere. Made with soft, rich anthracite suede, there’s simply no comparison to an impersonal electronic screen. Features a zippered pouch to hold all the pieces... just unroll and enjoy! Choose Chess/Checkers or Backgammon. Our Genuine Leather Roll-Up Travel Games are perfect for vacation, summer homes, coffee shops, camping, boating, RVs and small apartments. Just unroll the leather board and get set for some real “hands-on” gaming! • Lightweight — only 7.4 oz.